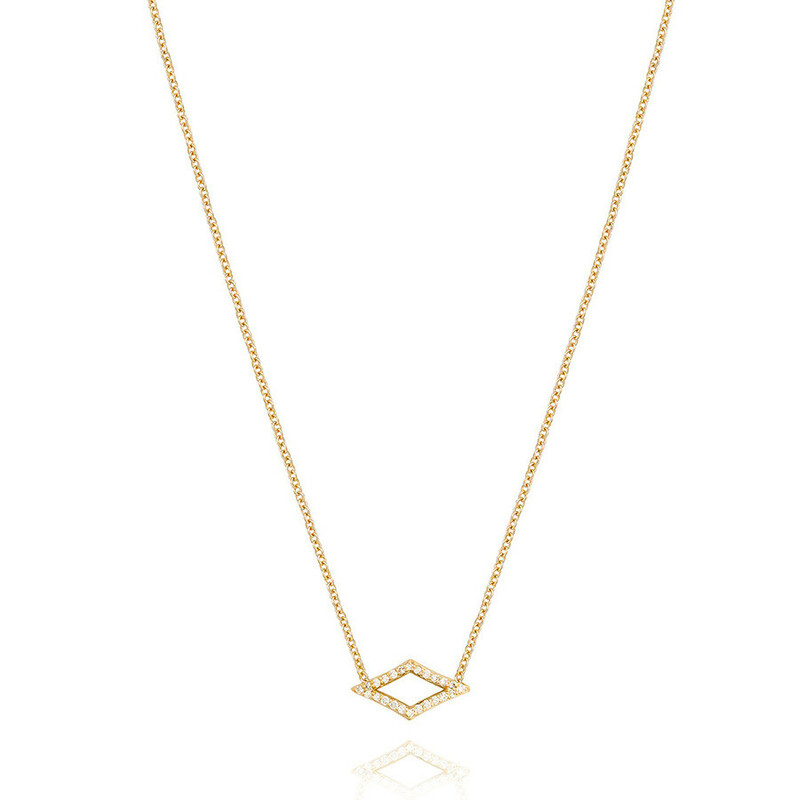 Dazzle a bright look with this amazing pendant necklace from The Ivy Lane collection by Tacori. Rich 18K yellow gold is fashioned into chevrons that mirror each other creating a diamond shape, which is beautified with sparkling white diamonds. It's stationed on an 18" link chain to fall perfectly for layering or just wearing solo. This Tacori necklace is any excellent choice on any occasion.